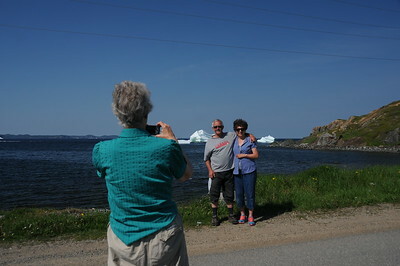 As we're heading out of Twillingate, "us four" pulled off to the side of the road and made a few parting photographs of nature's iceberg sculpturing. Only an hour or so from Bonavista, we found ourselves a tad directionally challenged. 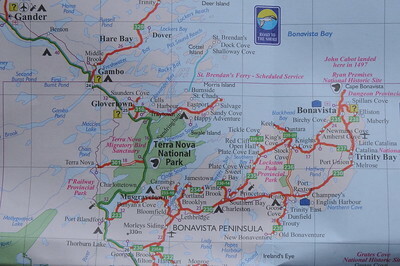 It still is a bit of a mystery to me as to how we arrived in the postal code area of Trinity, which is directly south-east of Bonavista on Route 230, when I thought we should have been on Route 235, directly south-west of Bonavista. Oh! Sharon has just now informed me that as we were approaching Trinity, and still lost, Donna who we were following at the time, was reading that Trinity seemed like an interesting town to pull into--and so we did. 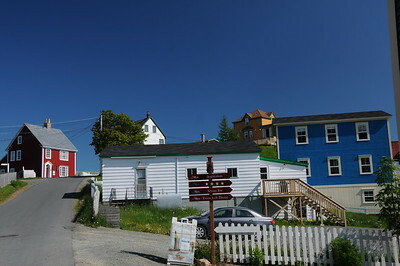 The citizens of this 18th century port, have made it a priority to preserve a very large portion of the town's structures. Buildings such as houses, art galleries, museums, and other historic sites, have been restored back to their original beginnings. 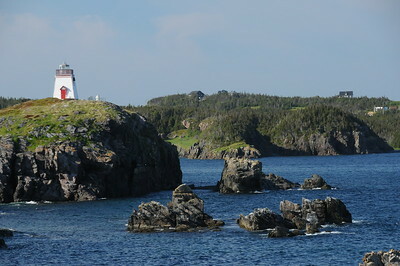 After an hour or so of playing hide-and-seek with Sharon through the maze of lanes and alleys in the town of Trinity, we set off in hopes of meeting up with Donna and Keith, who have by now become quite settled in to watching the humpback whales feed on capelin fish just off the shores of the Fort Point Lighthouse, in Trinity harbour. 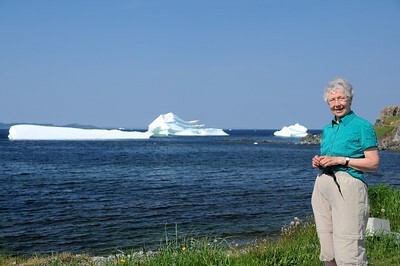 It's pretty close to nine-forty-five in the morning, and time enough for one more visit with bergs before we head out of Twillingate. 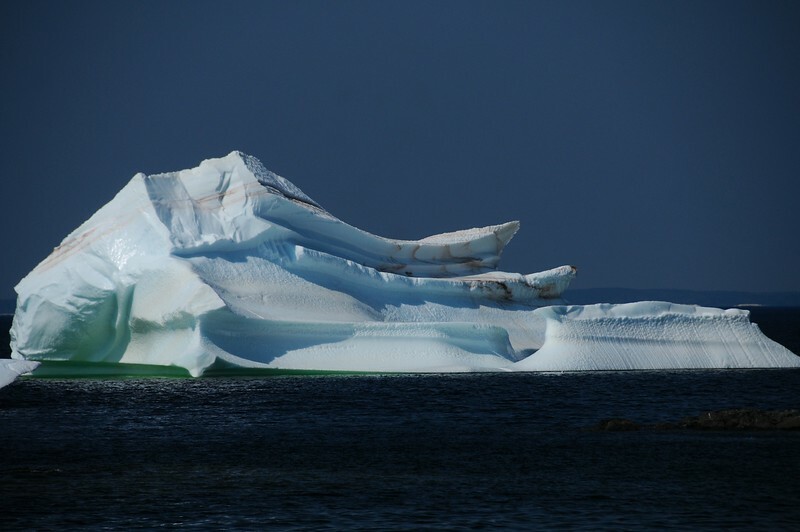 As far as ice shape and form are concerned, this is my favourite of all icebergs that I have photographed so far while here in Newfoundland. http://www.trinityvacations.com/trinity-town-services/ Trinity was an afterthought. As far as I can recollect, the four of us got a tad confused with directions on our way to Bonnavista. The multitude of rural roads and directions had us going every-which-way-but-loose, and due to consequence, we had the good fortune of landing in Trinity. 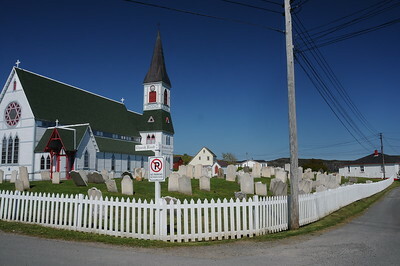 The town of Trinity is located within the Bonavista Peninsula, on the shores of Trinity Bay. 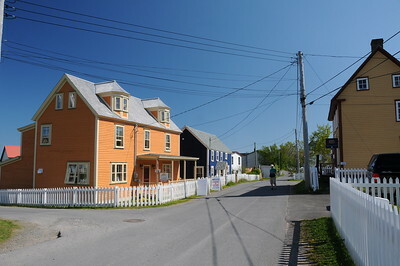 Many of the buildings here are recognized as Registered Heritage Structures by the Provincial Government. This is a beautiful port, and one of my most favourite and colourful places I have visited thus far. 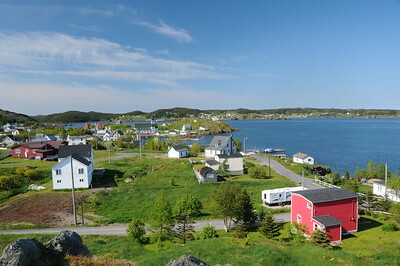 From Twillingate we drove down from Gander on the TransCanada, through Terra Nova National Park and connected up with Route 233, at Port Blandford, going north. 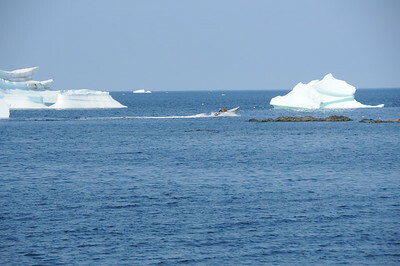 Our intended travel from here was to join onto Route 235 and follow the coastline up to Bonavista. But our internal compass kept us on 230 to Trinity. 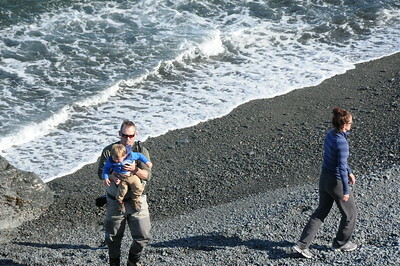 You would have thought we could have figured it out that if there is no shoreline to our left, than something must be wrong with this picture. 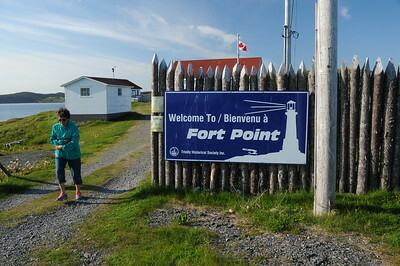 Donna and Keith had decided they were going over to Fort Point lighthouse in Trinity harbour for some whale watching, while Sharon and I had decided to meander around the town of Trinity. 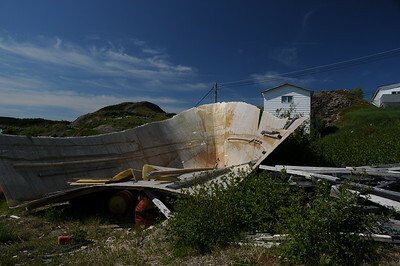 We pulled into an empty lot next to this discarded hull of a fibreglass fishing boat, then toured the town on foot. 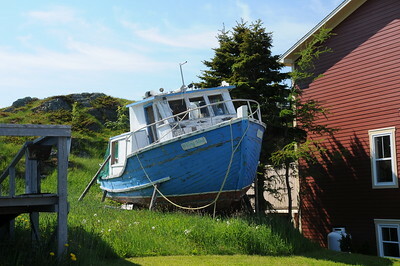 Another "old timer" that may have experienced its last voyage. There is a tranquil atmosphere to this town. Hardly a sound of a barking dog. Three course meals are served nightly at Twine Loft Dinning. It is quite simple to become dis-connected in Trinity. Once we stepped out of the car I wandered behind a bush to snap a photograph. When I emerged, Sharon had vanished. This is the first time I have seen her since then, one half hour ago. 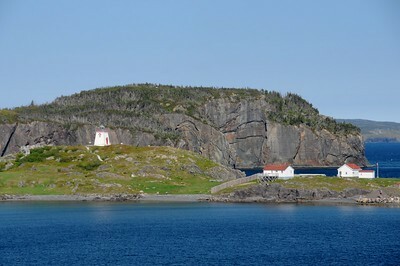 Looking from Trinity East towards Fort Point Lighthouse, at the entrance of Trinity Harbour. 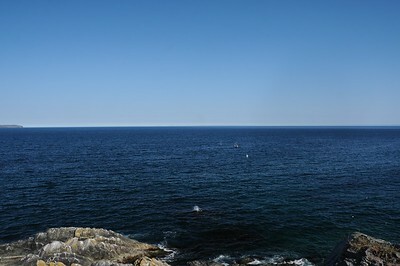 Sharon and my visit in town had come to an end, and we thought we would head over to the lighthouse in hopes of meeting up with Donna and Keith. 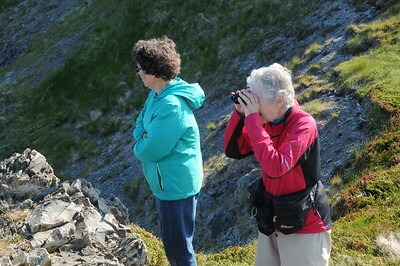 When we arrived at the lighthouse parking area, Sharon and I were delighted to find our friends still there. 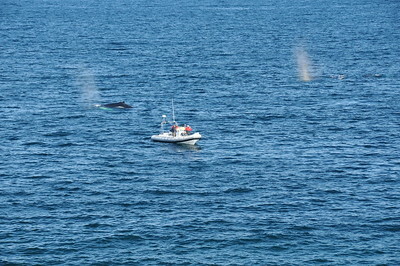 Two hours have passed since we last saw them, and Donna has not yet got her fill of watching the humpback whales feeding on the capelin off shore. 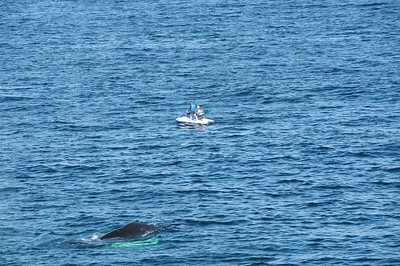 Numerous tour boats go out every hour to view the whales feeding, and the whales seem more intent on eating than paying the onlookers any attention. Not sure what this family is up to. 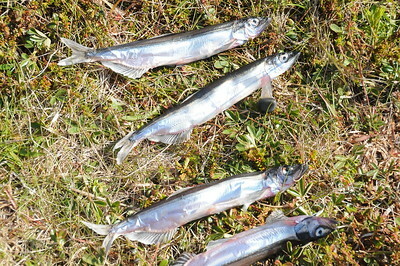 Possibly capelin fishing. 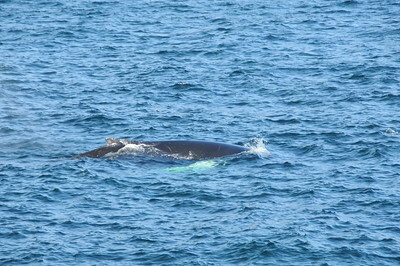 Capelin are the primary food source for the humpback whales during this time of year. 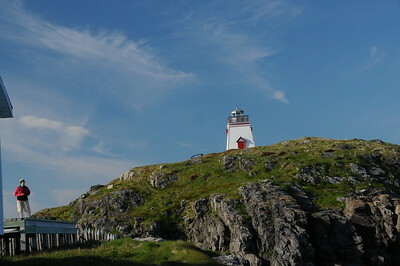 Fort Point lighthouse overlooking the entrance of Trinity Harbour. 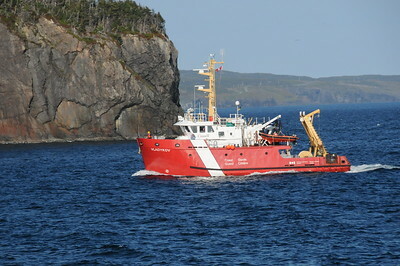 A Canadian Coast Guard cutter entering the harbour. 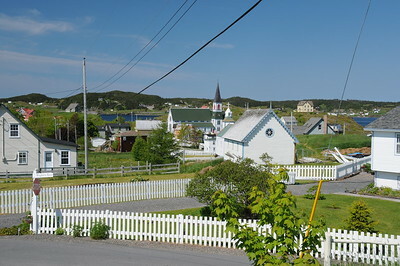 Time to leave this lovely, place and head up to Bonavista, which is less than an hour's drive away.